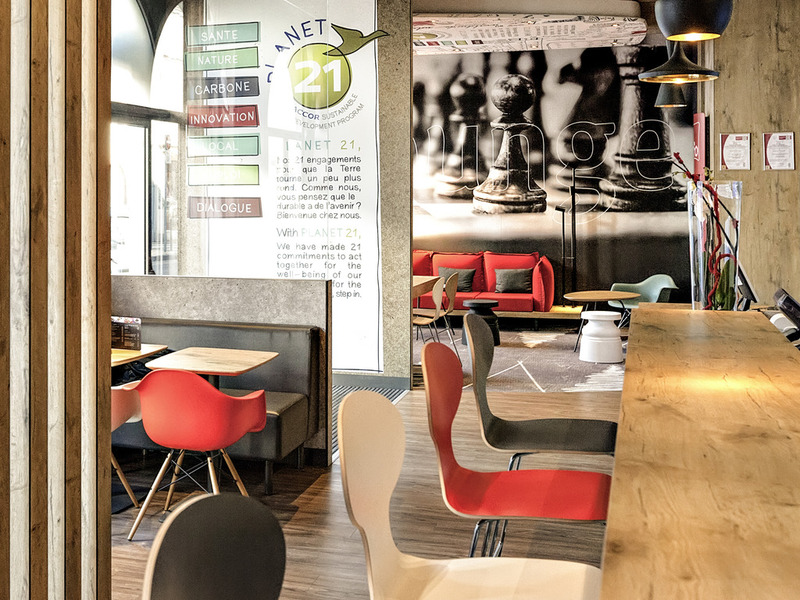 At the heart of the city center of Agen and 550 yards (500 meters) from the SNCF train station, the 3-star ibis Agen Centre hotel welcomes you to a modern setting for a moment of professional or personal rest. Saint-Caprais cathedral, the town hall square , the museum of fine art and even the canal running along the Garonne River are all just a few minutes away on foot. Get to meetings at the Agen convention center in just 5 minutes by car. Welcome to the ibis Agen Centre hotel. 5 mins from the exhibition center and the racetrack, 10 mins from the Walibi Aquitaine water park. In the center, discover the old town and the Museum of Fine Arts and stroll along the canal bridge.